With Sony's approval, independent movie houses and chains start selling tickets for Dec. 25 opening of comedy starring Seth Rogen, James Franco. 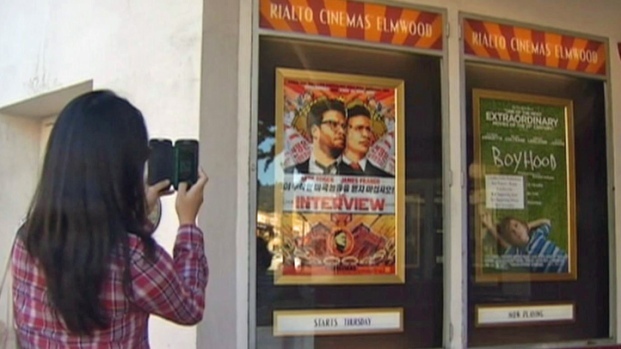 Bay Area Movie Theaters to Show "The Interview"
Several Bay Area movie theaters will be showing "The Interview" when it begins its limited theatrical release on Christmas Day. Rialto Cinemas Elmwood in Berkeley was among the first area theater to sell tickets for Dec. 25 screenings of the movie on Tuesday afternoon. A call to the theater's box office confirmed the theater's plans to screen the film. As of Tuesday afternoon, the theater's website listed three screenings a day for a week beginning on Dec. 25. Sony Pictures Entertainment confirmed earlier in the day that the film will have a limited theatrical release across the United States beginning Thursday. With Sony's blessing, other independent theater chains around the country and the Bay Area were expected to add the movie to their schedules. Some Cinema West theaters planned to show the film, including the chain's Livermore location, which also began selling tickets on Tuesday. The Camera 3 in San Jose also confirmed plans to show the film beginning Christmas Day at 3 and 8:30 p.m. The Alamo Drafthouse in Texas and Atlanta's Plaza Theater said they would begin showing "The Interview" prior to Sony's confirmation. Mike Whalen, who teaches film at Santa Clara University, said Sony's decision and its plan to put it in independent theatres gives a big boost to the little guy. "This is a major coup for independent theatres known for niche films,” Whalen said. “This is an opportunity to get a wide release." Even President Barack Obama praised the decision. He said in a statement that he applauds Sony's decision to authorize screenings of the film, saying, “We are a country of free speech and artistic expression." 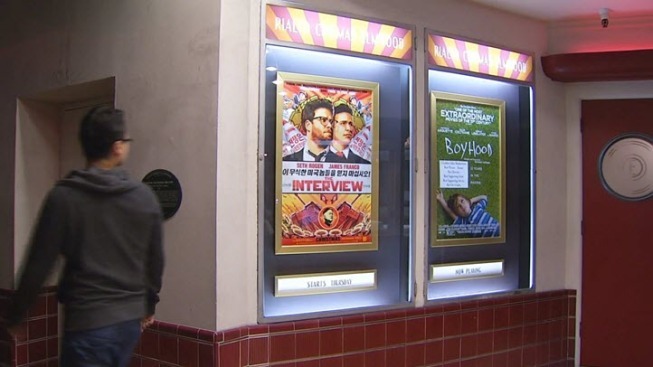 Several Bay Area movie theaters will be showing "The Interview" when it begins its limited theatrical release on Christmas Day. Scott Budman reports. A group of writers including Salman Rushdie, Neil Gaiman and Tony Kushner, meanwhile, signed a PEN American Center petition urging Sony Pictures to make "The Interview" widely available. The FBI has said the attacks on Sony came from North Korea. NBC Bay Area's Scott Budman contributed to this report.